All Weather Fasteners are designed to screw through weatherproof, waterproof and all weather fabrics into timber or metal. 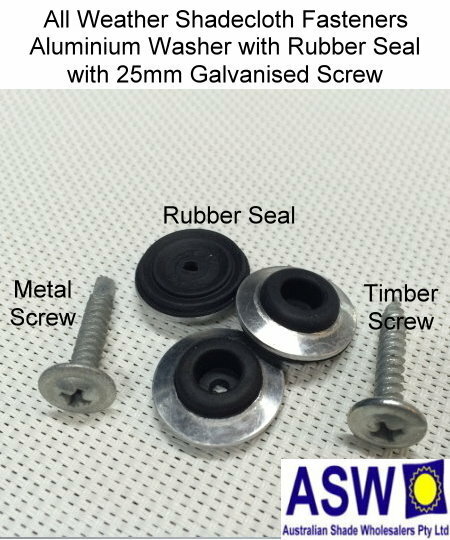 It is highly recommended you use the Rubber Seal on each Screw to help seal the fixing and keep the area as waterproof as possible. Shadecloth manufacturers recommend using 5 timber fasteners per metre (every 150-200mm) around the perimeter and along any joins and 1 timber fastener every metre (approx) along each beam/rafter in the body of the fabric.